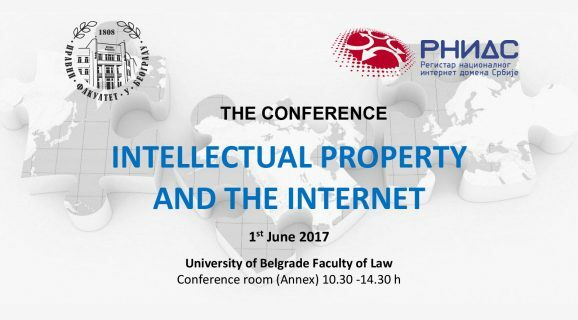 On the 1st of June 2017, the conference “Intellectual Property and the Internet” was organized for the third consecutive year at the Faculty of Law of the University of Belgrade. 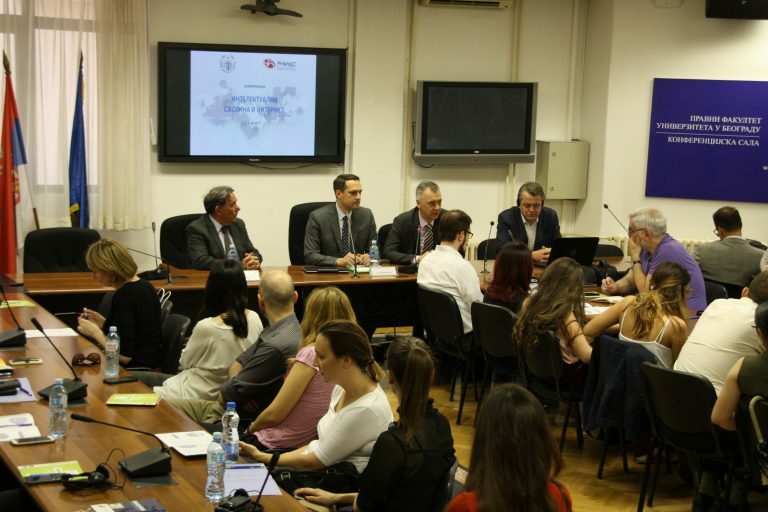 The conference was co-organized by the Serbian Internet Domain Registry Foundation (RNIDS) and the Faculty of Law, and supported by the Internet Corporation for Assigned Names and Numbers (ICANN). The conference program may be accessed here. The conference was opened by Professor Dr. Sima Avramovic, dean of the Faculty of Law, Mr. Danko Jevtovic, director of RNIDS, and Professor Dr. Dusan Popovic, president of the Organising Board. The introductory address was delivered by Mr. Roy Arends, principal research scientist at ICANN. Following the introductory address, the authors of papers gathered in the collected edition “Intellectual Property and the Internet (2017)” (ed. D. Popovic), recently published by our Publishing Center, presented their research in two sessions. The first session, presided by Professor Dr. Slobodan Markovic (University of Belgrade), was dedicated to domain names and trademarks. This session comprised the presentation by Professor Dr. Mario Reljanovic (Union University), Assistant Professor Dr. Marko Jovanovic (University of Belgrade) and Mr. Novak Vujicic (PhD candidate at the University of Belgrade). The following session, chaired by Professor Dr. Marija Karanikic Miric, was dedicated to copyright problems on the Internet. 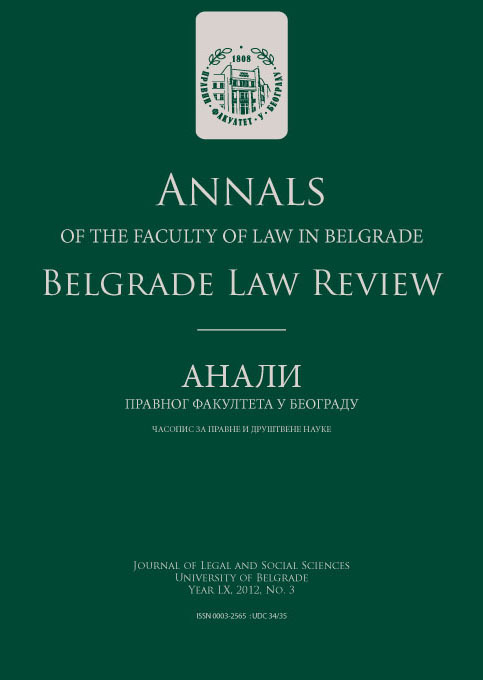 It comprised the presentations by Professor Dr. Slobodan Markovic and Professor Dr. Dusan Popovic from the University of Belgrade, and Assistant Professor Dr. Sanja Radovanovic from the University of Novi Sad. The conference was streamed online live at RNIDS website, the Faculty of Law website and RNIDS Facebook profile.